Competition is heating up for Tesla Model S.
When the Tesla Model S was first unveiled in 2012, it was the most advanced EV ever sold. 6 years later, it is still the first car most people think of when electric vehicles are mentioned. 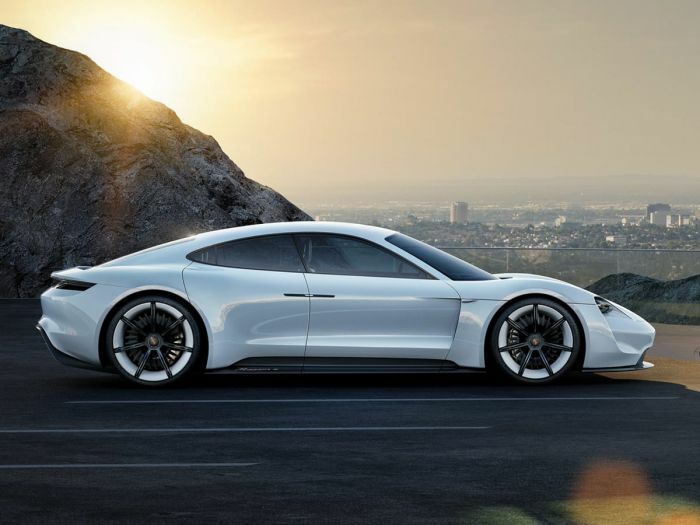 Tesla's place as the foremost electric vehicle company has gone mostly unchallenged, but recently, competition has started to increase as more and more companies are bringing vehicles to market, such as Porsche and the new Taycan. Porsche's reputation is not for electric cars, and in terms of sales, this will be an advantage which the Tesla Model S will have over the Porsche. But in terms of electrifying their models, Porsche has been dabbling in hybrids in racing for some time, and Porsche's hybrid supercar, the 918, has been received with good reviews and impressed owners. Sure, hybrids are not electric cars, and experience in hybrids does not translate perfectly to a vehicle without an internal-combustion engine, but it's experience which goes beyond that of other companies who have entered the EV market. The specifics on the Taycan are provided by Porsche, and so have not been confirmed by any independent testing, but the figures put the car just above the Tesla Model S 75D (the closest price comparison) in a few areas. The big two in terms of performance are the 0-60 and the horsepower (torque would perhaps be a better metric, but the torque number has not been reliably released for the Taycan). In acceleration to 60mph, the Porsche has a half-second advantage, not insignificant when the Tesla already does an impressive 4.2 second 0-60. The horsepower numbers have a similar difference: the Porsche puts out an estimated 600 horsepower, which is more than 80 over the Tesla Model S 75D number. Where the Tesla shines is in the practical side of the equation. While the Porsche is set to have the greater range, Tesla's greater amount of experience in the market has allowed it to go through the teething pains of a new model, indeed an entirely new kind of car, with relatively little competition. As a result, living with a Tesla has gotten easier and easier as the company has been able to make improvements. The Porsche will be able to take advantage of the greater ease which as been added to living with any EV (more public charging facilities, government grants, etc. ), but has some catching up to do. Tesla has supercharging stations which allow recharging in around 30 minutes. These would not be usable for Porsche's Taycan. Porsche Taycan seems to be a very promising electric car, but the Chevy Bolt and Volt are here and excellent. The 2016 ELR is a great car too. The Taycan is a four door, four seater, same as the Model S. Which is the question posited in the post. There will be a fast charge network eventually. Likely in all VW/Audi/Porsche dealers. The Taycan does exist, and several media outlets have driven the pre-production prototypes. There is an embargo on performance numbers, likely till production models hit in 19’. One review I watched described the acceleration as ‘oh s#$&!!’! Given it will likely have very similar performance, likely better quality production, the Porsche name plate, and could be aggressively priced, it sure looks like a Model S killer. First of all, the model S was unveiled in 2009 not 2012. Second, the model S signature series (all performance 85kWh) were shipping near the end of 2012, not 2014 like this article states. The model s is not a 4 seater, where did you even hear that? you couldn't be any more wrong, its a 5+2 hatchback. The bolt, volt and ELR are all trash vehicles, look at their sales, only the leaf and the rest of the teslas models are selling well. There is nothing in the pipes to kill a Tesla especially this thing, Porsche has no charging infrastructure yet Tesla just announced their 10,000th high speed station, but if you look at the number of Level 2, 3 and destination stations, Tesla has millions available. seriously, get your facts straight. The S has been out for 6 years, where has Porsche been? they have been spewing rubbish prototypes out for a long time and nothing has materialized.